Dunav Country Club is proper destination for all business meetings. Dunav Country Club has 52 accommodation units with 102 beds in total. Our two seminar and two banquet halls are ready to host your guests. For all guests there is available parking area with 200 spaces for cars, vans, and buses. There are 650 seats in the Large celebration hall. Regardless planning corporate event, gala evening or cocktail party, you can be sure that it will be remarkable. In our Menu you can find local cuisine specialties, grill dishes, fish specialties, and international cuisine food and delicacies. Our banquet team is at your service to conduct your ideas and wishes. 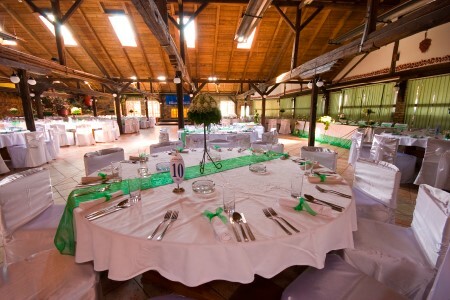 Small celebration hall with 80 seats fits for cocktail parties and business lunch arrangements. Large seminar hall is appropriate for larger group meetings, 60-100 persons. It is suitable for seminars, congresses, conferences, and symposiums. There is wireless internet available. 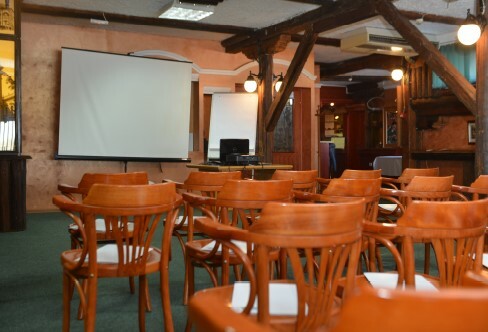 Small seminar hall is appropriate for all-day lectures and team buildings for groups to 20 persons.